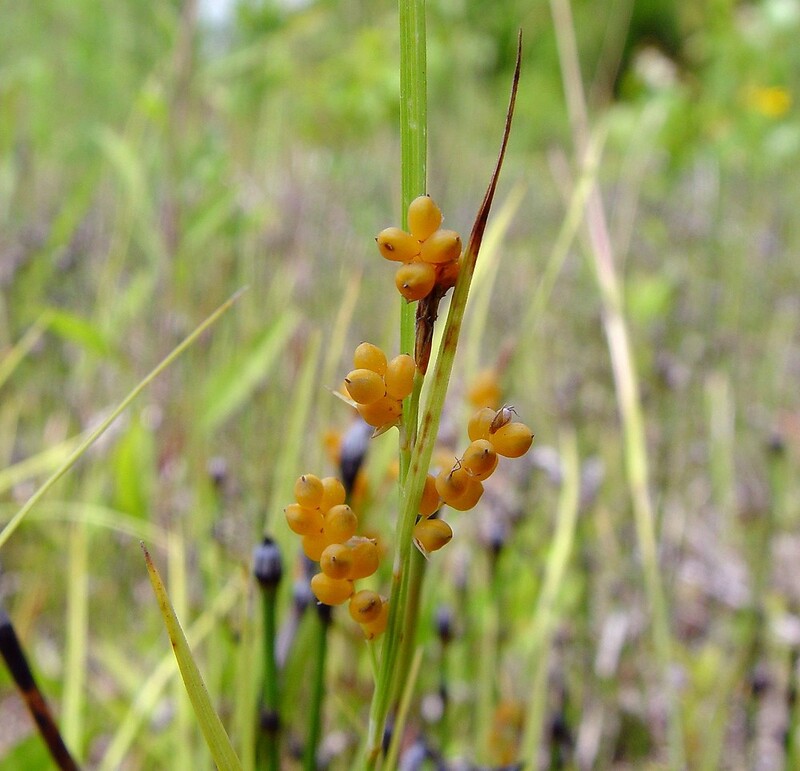 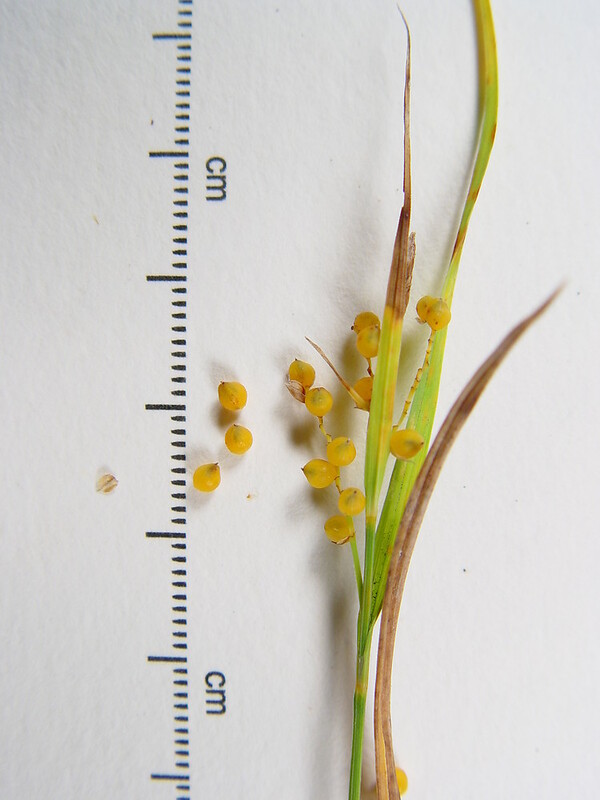 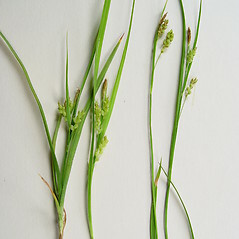 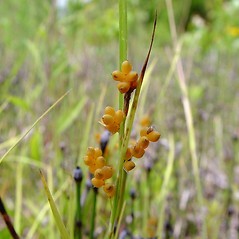 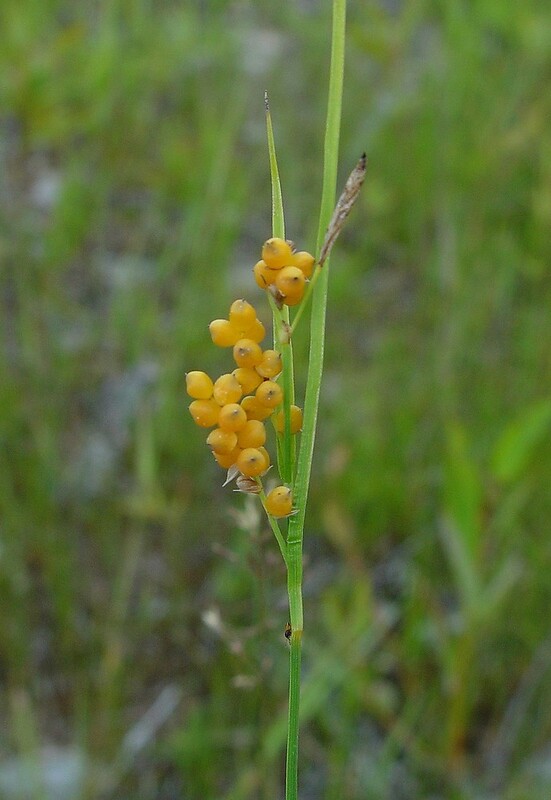 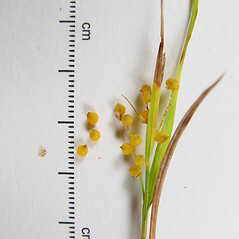 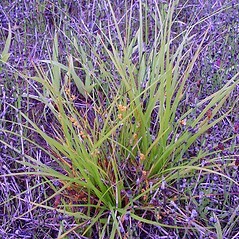 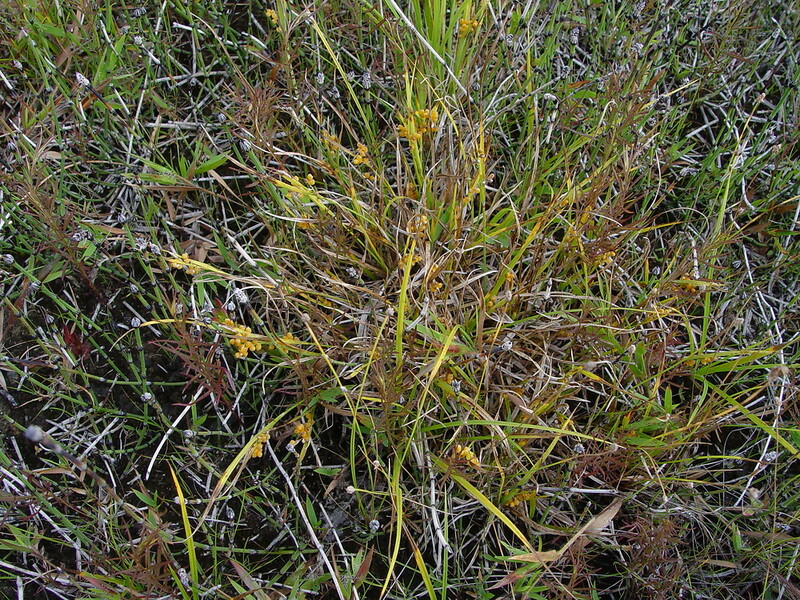 Golden-fruited sedge is unique in having nearly spherical, bright orange perigynia, but the color does not show until the perigynia are fully mature and ready to be shed. 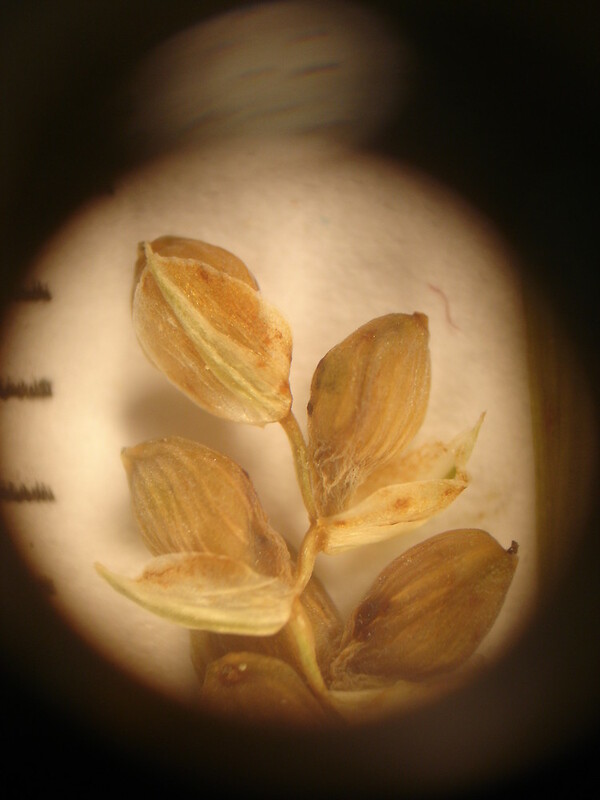 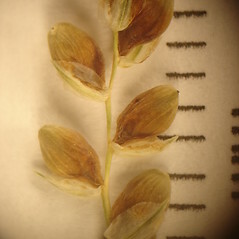 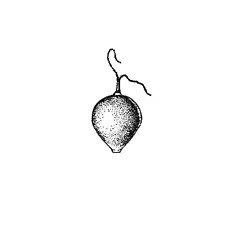 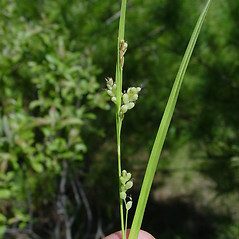 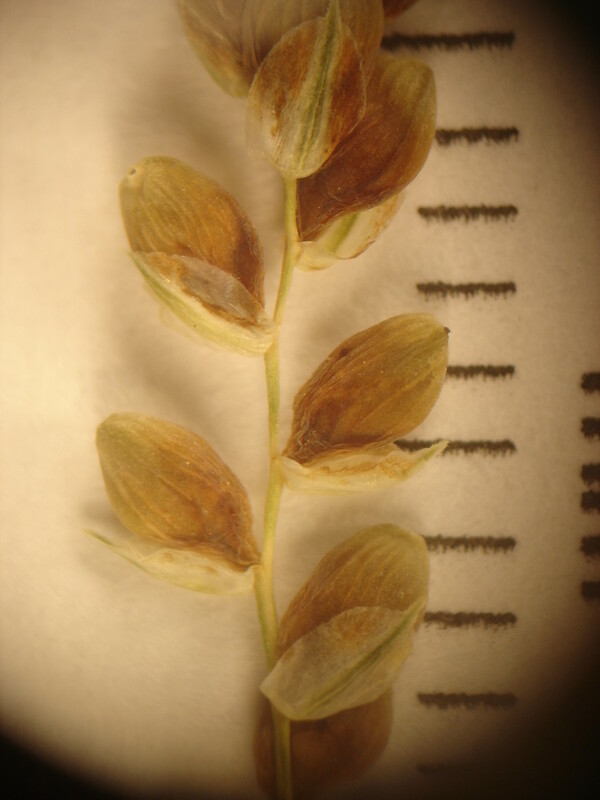 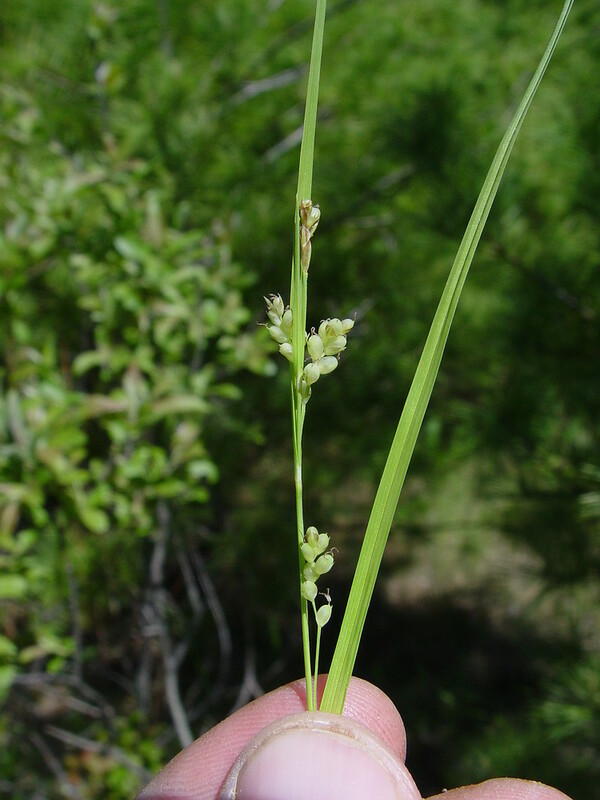 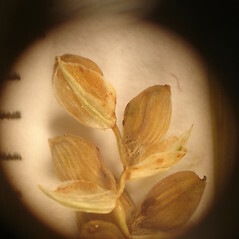 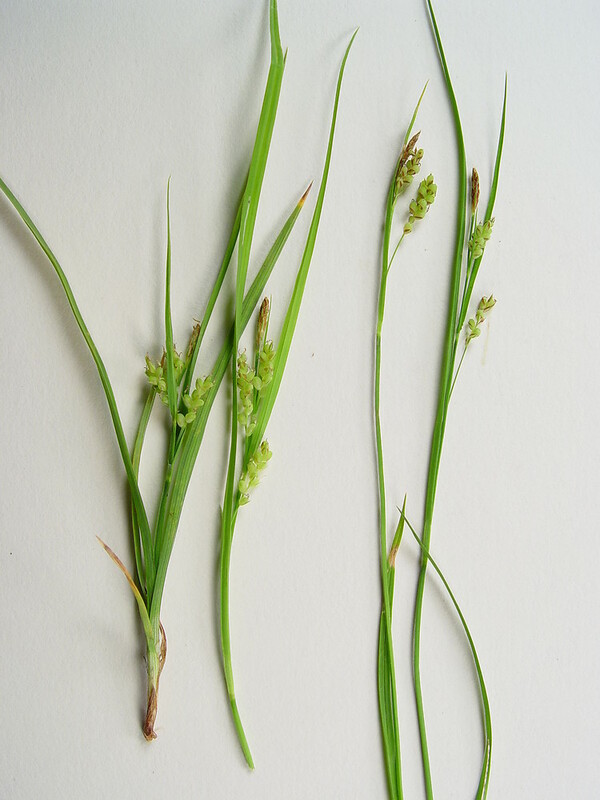 The lowest bract of the carpellate spikes has a prolonged closed sheath usually longer than 4mm. 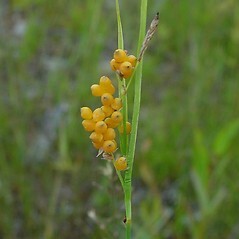 This species is listed as threatened in New Hampshire. 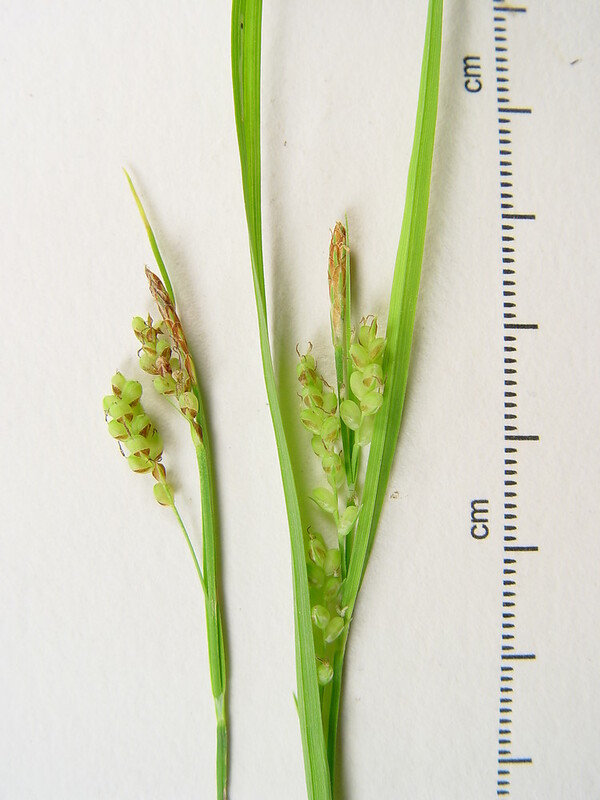 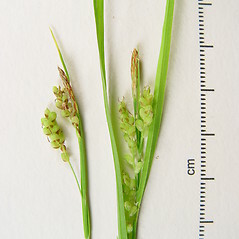 perigynia glaucous-white and densely papillose, lateral spikes densely flowered with internodes in the middle portion 0.2-0.7 mm long, and uppermost spike frequently gynecandrous (vs. C. aurea, with perigynia becoming gold-orange and smooth or minutely papillose, lateral spikes relatively more sparsely flowered with internodes in the middle portion mostly 0.7-1.5 mm long, and uppermost spikes frequently entirely staminate). 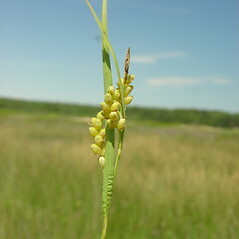 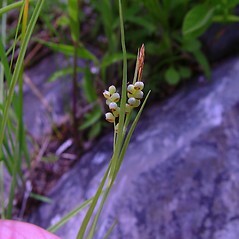 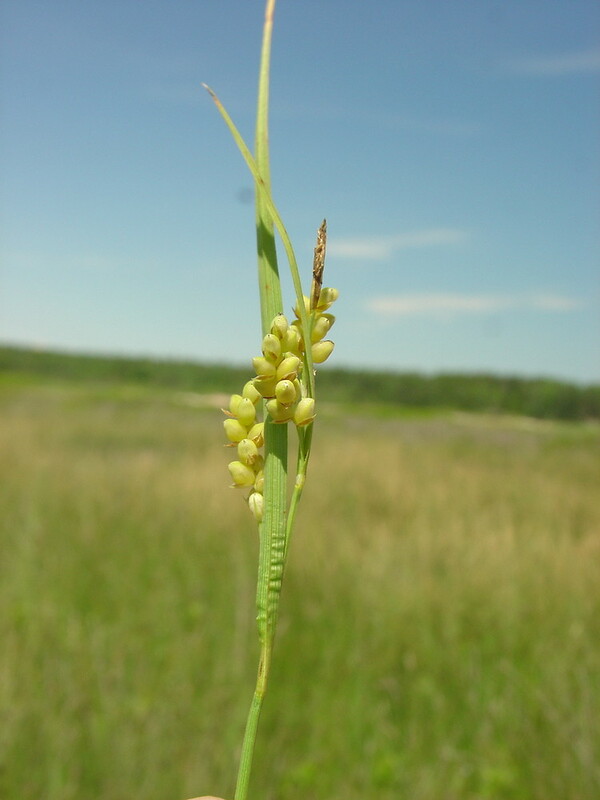 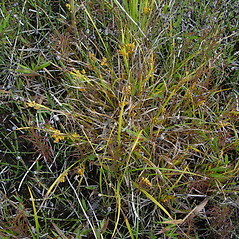 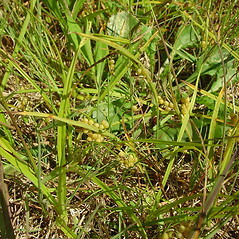 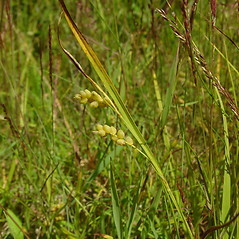 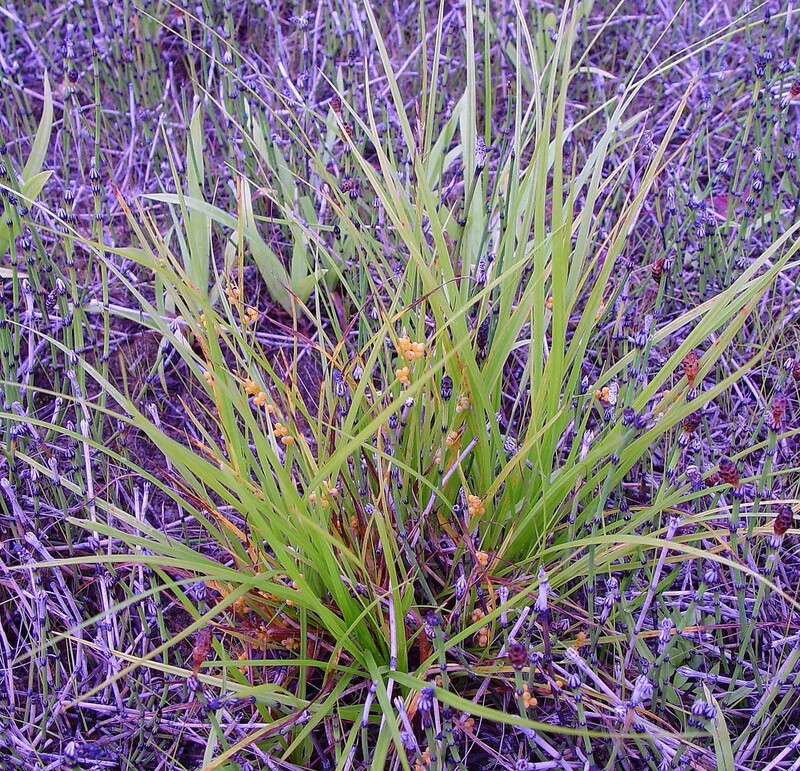 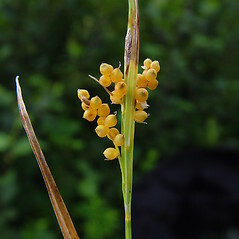 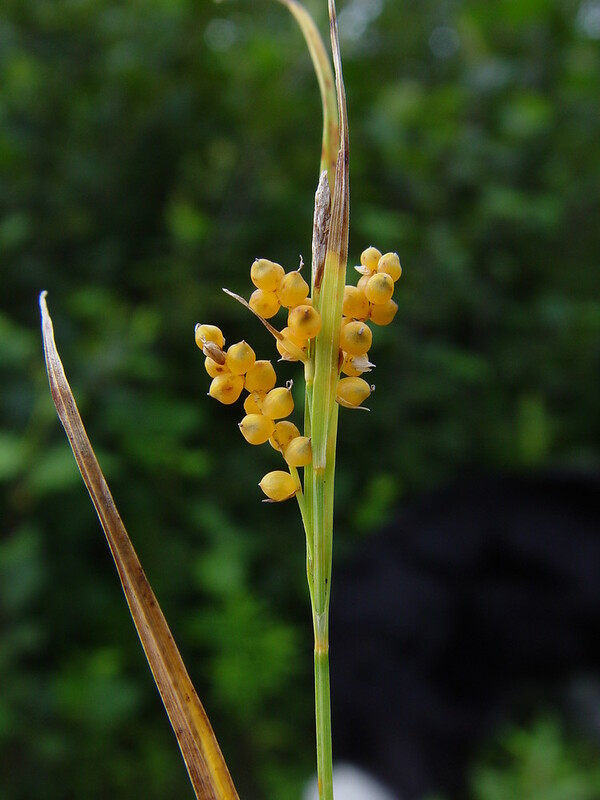 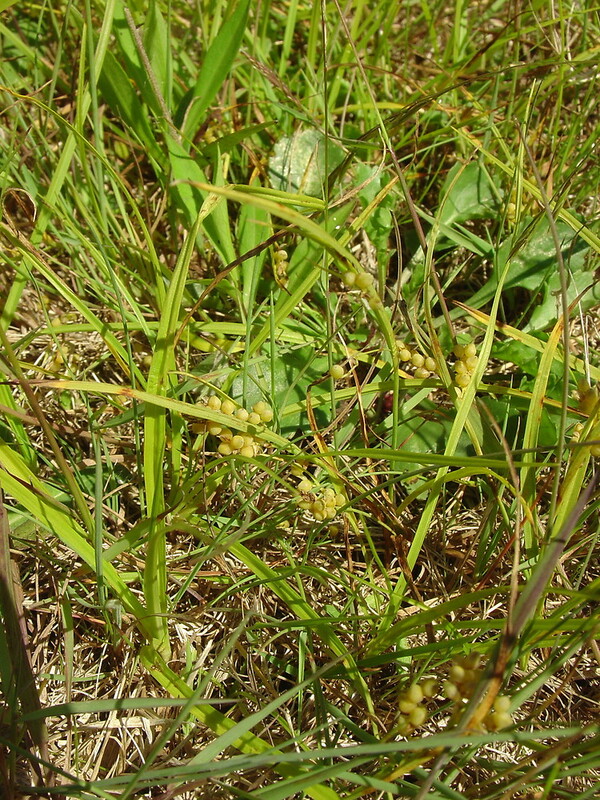 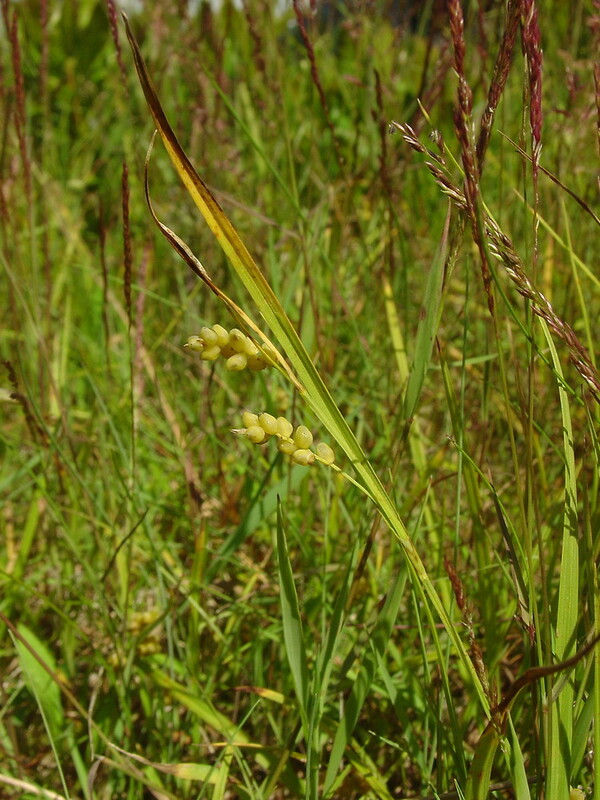 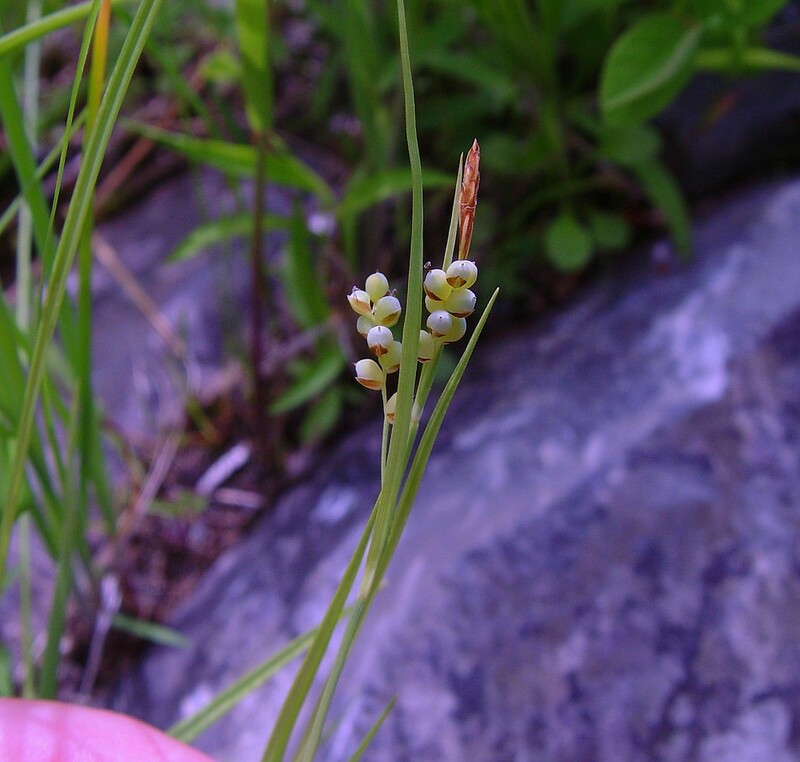 golden-fruited sedge. 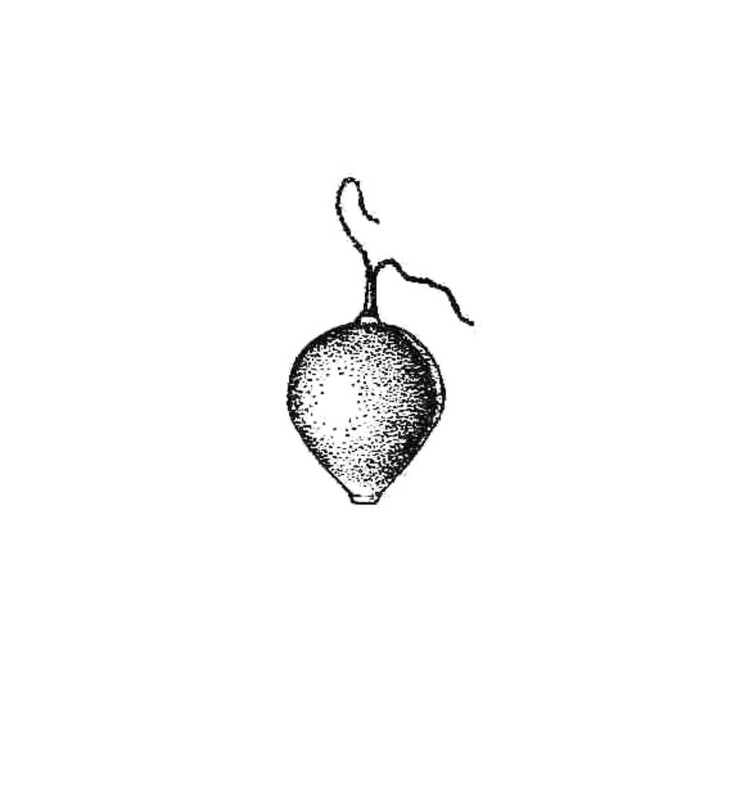 CT, MA, ME, NH, RI, VT. Cobble pavement and seepy outrcrop river shorelines, wet ledges, and borrow pits, in high-pH bedrock and/or till regions.